Perfect for small spaces and cheaper than chips! Tall as you like to stack ’em and just roll ’em if you need to move ’em….. If made to measure raised planters aren’t your scene then this may just be for you. 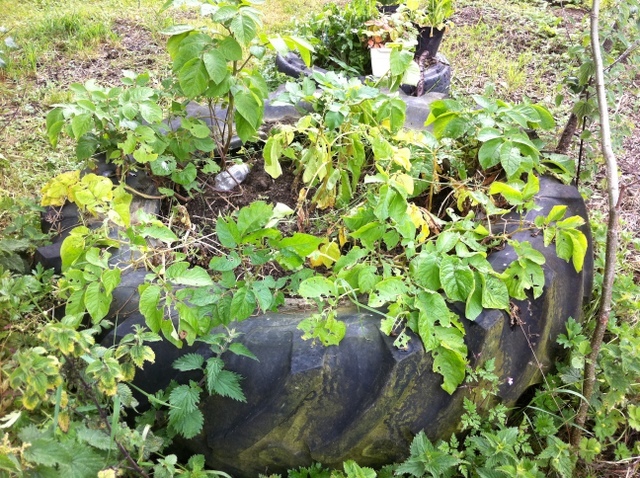 As you can see these are old tyres in which plants are growing. The theory is pretty much the same as a large window box, except in this case it could be considered bottomless. Perfect for potatoes if you like to mound the earth up around them.If spuds aren’t your thing and you really wish to keep things simple – just drop one on the ground, fill in with a suitable growing medium and scatter whatever seeds grow north instead of south. 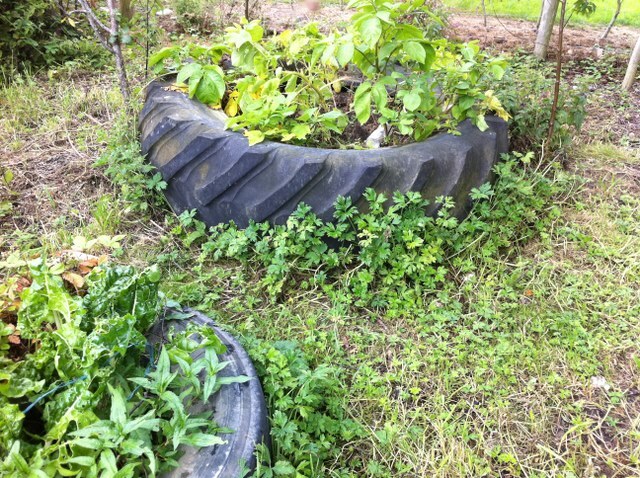 I’m sure any tyre shop/ garage/ farmer would be willing to help you out…. The ground here is patchy and messy because it’s used for the chickens and is only starting to grow back. Also the spud foliage is dying off.